I am processing so many emotions right now; I'm just going to go ahead and let you know that this post will not be eloquent or well written. It will not be a beautifully worded story, but just the ramblings of a mom who is tired today. It will just be, and it will be good enough. On Thursday of last week,I went to check on Michael, a sweet little boy from the Karamajong village that we took care of a few weeks ago. I found him with open sores all over his body. As a result of severe malnutrition, Michael weighs just ten kilos at 6 years old. He is no taller than Jane (my two and a half year old). His skin is breaking and unable to repair itself because his immune system is so weak. His hair is white as snow and his skin is yellow and splotchy and his smile and little bug out eyes can melt your heart and light up the room. Michael is fearfully and wonderfully made, created in the image of my Savior. I have warned myself over and over that I must NOT start bring home children from the Karamajong village. We feed them lunch and supper every day and twice a week I drive my van, the trunk loaded with a mini pharmacy, into the middle of their village and treat anything I can. And I told myself and told myself that I would not bring them home for treatment, that twice a week visits were all I could handle right now. I wanted so badly to guard my heart because here's the thing: once you take one, you may end up with 13. I knew that once I had taken one sick child from this village home for rehab, there would be not stopping point because these children are ALL ALWAYS sick. But as I looked at Michael, I saw no alternative. He needed to be bathed in warm water every day. He needed milk and eggs and ORS and multivitamins and fresh fruits and vegetables and there was no way I could get him all those things regularly where he was. Even if I did, there was no guarantee that his parents would not sell these things and continue only feeding him posho (corn flour). So he came home. He tested negative for HIV, TB and typhoid and we began a pretty rigid deworming routine as well as a highly caloric, protein packed diet. In the last 5 days he has gained 2.5 pounds (that's a lot if you only weigh 20!) but he has gained more than that. I have watched him transform from a lifeless, expressionless little boy who slept all day and was unresponsive to a over-the-top cheerful, sometimes down right ornery little boy who hardly ever stops smiling and loves playing games with other children. The transformation has been remarkable. I will keep him for about another week as I begin counseling his father and step mother (this is the biggest issue, often second wives do not want to care for their husband's other children and sometimes even write them off as cursed or not worthy of food and provision...) about the most nutritious foods for him, frequent meals, bathing, ect. My heart will break to take him back and yet I will know that it is what is best for him and his family. Wednesday as I met with the Karamjong children for Bible study a woman walked up to me and handed me a baby that I presumed to be dead. And then she breathed. The mother told me that she was quite positive that she (the mother) had HIV and therefore was not breastfeeding her 10 pound, 9 month old little girl. I asked, quite obviously, what she had been feeding her then? And this was the response that awaited me, "Nothing. We have no food." Um. NO wonder the baby looked dead. She almost was. I pleaded the mother to let me take her with me, to be tested for HIV and be fed. The mother instanly agreed but fist wanted to show me her house. I think I have seen it all. And then this happens. Thier house was made of cardboard and was smaller than the bed I sleep in at night. On the floor lay filthy old rags on which they slept and a pile of charcoal which they cooked on (when they did have food, I guess). I almost dropped on my knees right there. It was one of those I-just-don't-have-a-clue-what-to-do-next moments. So I did the only thing that comes naturally to me. I scooped her up. I prayed for her mother and the 6 other children living in the house/box and promised to return. I drove as fast as I safely could to the nearest semi-good hospital and then to get some high energy formula. For the first 24 hours, I could hardly stand to look at sweet baby Patricia (her parents had not named her for fear she would die, and I could think of no one better to name her after than my precious Mommy). The hurt and the hunger in her lifeless little eyes was simply unbearable. Every time I changed her diaper, more big fat worms (we are talking really large, earth worm sized) had come out. I cried for the things this child has had to endue for so long. And I cried to know that though I deworm her now, the minute I take her back to her mother, the worms will return. Her HIV test came back negative and I am praising Jesus for that. She was diagnosed with severe pnemonia and malnutrition. She can hardly sleep at night for coughing so much. Friends, I ask for prayer. For these children and for my heart. I have fallen in love with Michael and Patricia. Their sweet faces that arer Jesus. The tear stream down as I write this and have to think about taking them back to their parents, who I will try to help as much as possible, but still have such fear in my heart about. I look at their surroundings and simply wonder how children survive in this harsh world. I am sad and I am angry. Between no sleep and a million doctors appointments (imagine that in Uganda you wait even LONGER in the hospital than you do in the US...) and Bible club on Thursday and Saturday program tomorrow and trying to raise 13 children and spend enough time with each of them, maybe you will right my saddess and anger of as the rantings of an exhausted mother and maybe they are, but this is my blog and I am going to say what I feel like. I am MAD. I have been sad and broken for these children for so long and it has finally turned into a hardened anger. I am angry that this culture so lies to women that Michael's stepmother believes that she does not have to care for this child who is not biologically hers, though she has ample means to. I am angry that in the "Pearl of Africa" and the most fertile region of it at that, a mother has litteraly NO food to feed her baby, not to mention herself or 6 other kids. I am angry that the result of this is that these sweet ones suffer in their innocence. I have said it before and it still holds true: I DO NOT BELIEVE that the God of the universe created too many children in His image and not enough love or food or care to go around. In fact I believe that He created the Body of Christ for just that, to help these little ones, the least of these. And I believe that except for a handful, the Body of Christ is failing. And its not just me who thinks this. When I'm angry, I like to research so that I can at least feel a bit justified in my rage ;) According to several differnt resources, there are an average of 147 million orphaned children in the world today (this statistic includes children who have lost only one parent as well), 11 million children starve to death each year or die from preventable, treatable illness. 8.5 million children work as child slaves, prostitutes, or in other horrific conditions (making things like that cute baby Gap dress Jane wore today...) 2.3 million children world wide are living with HIV. That is 168.8 million needy children like Michael and Patricia. Seems like a big number, huh? It shouldn't, because there are 2.1 BILLION people on this earth who profess to be Christians. Jesus followers. Servants. Gospel live-ers. And id only 8 percent of those Christians would care for just ONE of these needy children, they would all be taken care of. And now I'm just sad again. And I want to take care of all 169 million. But as I look into Patricia's eyes, that since just 48 hours ago have turned bright and smiley, as I smell her hair freshly washed with baby shampoo and snuggle her into her new footie pajamas (side note: is their ANYTHING cuter than a baby in soft cotton footie pajamas?!) God tells me that this one is enough. That He will hold the others while they wait for someone to come along and hold them tight and give them their milk and their medicine. That He doesn't ask me to take them all but to stop for the ONE because that one is Jesus, His son. Stop for the little boy with white haid and scabs covering his body, stop for the baby with feces covering her dress, so weak she can't hold up her hear. Stop and take the ones right in front of me any trust Him with the rest. He whispers that it will be ok and that I can smile because tonight 2 less children are hungry and that is good for today. My anger is gone and I am just a mom who is tired and going to make another bottle and tuck her children into bed and love them the best that I can, as we as a family love the ones God has entrusted us with. Tomorrow I will brainstorm and pray and come up with the best way to take Michael and Patricia back to their homes, possibly find their parents jobs, or supply them with food and medicine. Tomorrow I will remember that they were never mine to begin with, that they are HIS and He will go with them where I cannot. But tonight I will just be. I will just sit with my Father in my sadness and brokeness and anger and ask Him why His innocent children must suffer and beg Him to move people to action and let Him hold me as I hold the baby He has blessed me with for today. I can feel your passion coming through the computer. I will pray and act and give. Thank you for your servant's heart and for being a voice. Katie - I'm stuck at somewhere between WOW and AMEN! Oh precious Sister I pray that others will be raised up to do! Oh I pray that others will stop being sight seers and become JESUS FOLLOWERS picking UP THEIR crosses for HIM! For the least of these - for the widow - the orphan and to teach others THE WAY! 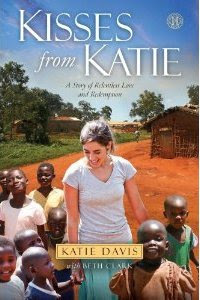 I'm here fighting this fight with you Katie and dream to be with you in Africa one day too! I'm angry and sad too as I read your words and hear so plainly the angst in your voice. I pray that more Christians will be woken from their slumber and spurred to the action that is desired from us. This breaks my heart because I call myself on who cares for orphans but I truly lack at doing so. Thank you Katie for inspiring me. Challenging me. Causing me to press of for Christ's sake. you dont know how much i cannot wait for the next season of my life in which i will hopefully join with you in taking care of these 169million. you dont know me, but i have been praying for you. it will not stop. Katie-you are doing such a fantastic job. Cling to God's truths in these tough moments and know His Word never returns void. Step by step. Remember Peter like you blogged about a while ago. It's about taking that first step of faith and letting Jesus do the rest. It IS tough letting those babies go back, but Jesus has a plan, and you are planing the first seeds for this family to know Jesus and make Him known across Uganda. Praying for you! Katie, your words, again, have moved me to tears. I weep for you, these children. All of these 147 million children. I will be visiting you with the HopeChest Vision trip in a few weeks. Cannot wait to meet you in person after following your blog. Please know I will be praying. God bless you, sweet girl!! I don't even know what to say, your words break my heart. The picture they paint convicts me and yet, I feel so helpless. I pray that one day, I will have the means to help one child. I can't imagine how your heart is breaking for these children. I'm praying for you, for strength to love again and again. For energy to continually give and give. For wisdom to raise and teach your girls. For provision to be the hands and feet of Jesus. For healing each time your heart is broken again. Our God is enough, may He fill you over and over. "I cannot change the world, but I can change the world for one person." Tears are pouring down my face. That was terrible, and yet beautiful at the same time. Thank you. I'm so thankful to be able to read your blog. It makes me a better person and a more faithful and on-fire follower of Jesus. We have started the process to adopt from Uganda. We have received a few e-mails from Gwen, who I believe is your sister, to help us get started. We are in the middle of the home study process and we're having a garage sale tomorrow to help raise the money we need for the adoption expenses. I just want you to know that there are people way on the other side of the world who have been touched by your words and are moving to act. You're right... God just wants us to help one at a time. We can't give up because we can't help them all. Just one by one. I will continue to hold you and your sweet little ones in prayer. Don't you think it's cool that you received 147 comments on your previous post. I saw that number "147" and a chill went through me! Amazing. We serve an absolutely amazing God! tears streaming down my face as I read this. I quite recently read something Mother Theresa is reported to have said: If there are a hundred children hungry, and you can only feed one, feed one. Don't worry about the ninety-nine you can't feed. If you did, you'd end up doing nothing. And feed that one today, because tomorrow that one will be dead. I have been following you since the last post. One of my blogger friends from Kansas posted a blog about this 20 year old with 13 children. She told all of us we needed to read your story. Well that is what I did all the way back to 2007. You are an amazing person to do what GOD has you doing. This post makes me smile to know that there are people who care and should make all of the rest of us not take for grant what we have. found you through a friend...my heart is to love the unloved, to visit Africa myself one day..I am a young mom of 2 and I complain all the time...I will think twice next time...if you were allowed I would tell you to put one or two of those kids on a plane to me...my prayers are with you...sweet daughter of the King. Thank You..... thank you for being the hands and feet of Jesus when so many WILL NOT. Thank you for not letting your broken heart keep you from ministering to these precious children. Thank you for telling the church how it is! I say, shame on us!!!!! Not a guilt kind of shame but a convicting kind of shame from God.... the kind that says, "Follow Me." It's that simple..... drop what "you" think is important and Follow Jesus! In the mean time I pray He continues to show me how I may serve Him here. But I just want more...... less of me and more of Him. More of sharing the Good News of Jesus Christ with the lost and hurting..... more of ministering to the orphans who feel forsaken and alone. Thank you Katie and please know that God is working through you in a mighty way and you ARE making a difference. I don't know who you are, but the story of these children kills me. What is the best way to help? Katie...I love to read your blog and will continue to pray for you and those you are working with. I spent two weeks in Uganda this summer and fell in love with the children there. I am thankful God has called you to this and will continue to pray for your ministry and that God will raise up others to serve. Your love, broken heart and pure religion is overwhelmingly inspiring. Makes me want to be more like my King. My heart and prayers are with you and those babies you care for. As he got closer, he saw that it was a young man and the young man wasn't dancing, but instead he was reaching down to the shore, picking up something and very gently throwing it into the ocean. As he got closer he called out, "Good morning! What are you doing?" The young man paused, looked up and replied, "Throwing starfish in the ocean." "But, young man, don't you realize that there are miles and miles of beach and starfish all along it. You can't possibly make a difference!" The young man listened politely. Then bent down, picked up another starfish and threw it into the sea, past the breaking waves and said- "It made a difference for that one." There is something very special in each and every one of us. We have all been gifted with the ability to make a difference. And if we can become aware of that gift, we gain through the strength of our visions the power to shape the future. We must each find our starfish. And if we throw our stars wisely and well, the world will be blessed. Katie, I am in awe. The tears stream down my face as I think of you and your children. You are impacting the world in an incredible, amazing, breathtaking way. Dang it - I'm reading your blog at work again. And now I'm all broken and messy and fighting back tears. Lord - help me to find the child that I'm meant to save. You have just summed of what the book "Crazy Love" is all about! Lukewarm Christians is what the author calls them. My life is moving more and more towards less of me and what can I do for this world. The Lord is moving mountains with your name and I pray that I will continue to move in that direction also. My heart aches for the helpless. Thank you for what you do. I will continue to support you! Katie - I'm a middle-aged man, living a middle-class life in Colorado, married for 20 years, with 10 children, ages 18 to 1 year, and my wife is expecting our 11th in December. I've always considered myself a bit of a radical, deeply devoted Christ-follower, frequently investing in the lives of people around me in various ways. Then, I stumble upon you . . . It's almost cliche to admit here among your commenters, but you and your story have changed me. Really. Seldom have I been so impacted by another's testimony. There may not be near enough, but there are many good people doing good work in Africa, and among other impoverished people around the world. Even my church has projects in Kenya and Uganda right now. I applaud them all and offer my support and pray for more, as you do. But your voice is unique. You have a testimony of a heart for Jesus that transcends the stereotypical messages about poverty that have made many Americans and other prosperous people become a little calloused about international needs. I've already said too much. What I meant to say is: Thank you! You have sincerely changed my life. I have already started, and will continue, to tell everyone I can about what you're doing and those you serve. Thank you for loving those babies. Oh God, I long for the day I can hold some of them myself. In the meantime, please hold all those you can for all of us - for Jesus. If anything would ever spur us into action, it is this post. Raw, honest, a momma's heart. YOU ARE MAKING A DIFFERENCE: in the lives of His children, in the lives of all of us. The message is unchanging, "Go ye into all the world"
That each one can reach one"
You are in my prayers, and so are His beautiful children. I have recently discovered your blog. As someone who also has a heart for children and a special place for Africa, I feel your sadness and anger. As I read the post I saw the faces of the children I fell i love with in Africa and had to leave. I imagine that weight is a small fraction of the weight our Jesus felt on the cross. Be encourged! Keep loving and living it out. You've got another person praying for you. Precious Katie. I am a mommy of 3 in Roswell, GA with a heart for Africa. Your post pierced my heart today--thank you for shooting straight girl...for sharing your heart. My heart is broken for the orphan and recently your blog as called me closer to God's call on my life to help the orphan in his distress...so much so I feel almost paralyzed to do anything else but persue the orphan. 3 years ago we helped start a school for 450 orphans in Zambia, Africa. They now each have a meal a day and a free education. Yet, here in Roswell, GA I feel him calling me again...but in a new way. Seeing you be a mommy to these precious orphans calls my heart deeper. I have 3 children that I can't take over right now---but we do have room in our home. I turned in my home study today Katie. And I can't wait to travel to Africa to bring home my children...thank you for this post today as I wrestled with the decision to grow our family. GOD IS ABLE! I sang in tears last night "Jesus loves the little children...ALL the children of the world" He does. Does He? HE DOES! HE DOES! HE DOES! This truth we have to trust. Thank you Katie for your honesty and your post today. I can't wait to open my heart and home to more children who need a home. Love to you sweet sister! You are correct, Katie. It is TIME for the body of Christ to rise to action. We will be held accountable. Praying for Patricia, Michael and all HIS children. Praying for you, as well, as you are touching lives and walking the walk Jesus called us all to do. Thank you for your heart felt message tonight. I have been praying over Proverbs 24:12. We are accountable to ACT as christian people... thank you for all that you do! I could have written this myself about "my" kids in Ghana. A father asked me to take his daughter, to raise her with faith and "save" her, both spiritually and physically. We fought, and we were allowed to adopt her according to U.S. law. As I watch her dance around my living room, with her Cabbage Patch Kid tied to her back and food in her belly, I wonder how many more my house will hold. We are fighting to bring home her siblings. But, there are SO many more. What can I do for them? Why can't I bring them all home? I have resigned myself to telling the world what I have seen and using my skills as a Peds RN to travel back several times a year to set up health and nutrition programs, to deliver babies and to teach people as much about HIV as I can. I'm praying that you'll find a way to give it up to God. It is such an awesome burden to have to bear. Please know that in spirit a lot of us and, most importantly, our heavenly father are walking right beside you to help lighten that burden. Katie, Even as I read the words you have written, I stop and pray for you and Michael and Patricia. I wish I could climb through the computer and end up in Uganda...there to help you and to hold and love these little ones who are fighting for their lives. You are being used in mighty ways by the Father to care for His beautiful children. You are truly amazing, and thank you for doing what you do. I will certainly be saying a long prayer tonight for all of you. "Let them remember that there is a meaning beyond absurdity. Let them be sure that every deed counts, that every word has power, and that we all can do our share to redeem the world in spite of all absurdities and all frustrations and all disappointments. And above all, remember to build a life as if it were a work of art". I pray that you can keep pressing on and have a peace that only God can give despite all absurdities, all frustrations and all disappointments. I just found your blog in the last week through a friend and have enjoyed catching up on what's going on in Uganda with your ministry. Thank you for opening up to the blogging world and sharing with us what is going on. Your faith is encouraging and inspiring and makes me realize that I too can be used of God in ways that are far beyond what I can imagine. Children see the love of God through us. Praising the Lord for giving you the ability and opportunity to take care of those two precious ones tonight. Praying for Him to give you strength, encouragement and much much grace, Katie! what can we and should we be doing? Don't apologize for your anger...more of us need to be angry for these children. We have adopted two and are starting process with another and my children and husband and I are going to sponser two of your children. It's time that we get mad enough to move into action. Praying for your heart...I know its so hard. Be strong and courageous. We've got your back in prayer and support. Katie, Katie. Oh, if only I could adopt! My little family of two would love to be a bigger one...my daughter longs for a sibling. But sadly, my financial status (WAAAYY below poverty level, I'm told!) AND my age are against me. But I will continue to send the mites I do come across, and will always pray. I long to come over and stand by your side, helping, cuddling babies, nurturing. Maybe someday God will work that out. I pray He will. What a blessing and honor it would be! I feel so helpless, in the face of such abject poverty and need. It is humbling and galling not to be able to just reach out and DO IT! Whatever "IT" may be. Just know I am praying. Oh, I WISH I could come and scoop those two little ones up and bring them home with me! I do so love babies! I didn't realize how many starving and orphaned children there are in the world until I read your blog. It hurts me deeply that I must stay here and finish school when what I really want to do is help all of those darling children. Right now I can just pray for them. Katie, keep up the wonderful, amazing, compassionate work. Keep praising God and keep doing what your doing. You are just a beautiful woman, on the inside and out. Thank you so much for doing what you do everyday. I pray for you almost daily, and often think that the hardest part for you is probably watching the suffering that happens all around you. I think that so many in the body of Christ are probably not really in the body of Christ. So many more are only believers because they get a free ride to heaven, and so many, many more just don't know what to do. We sponsor two children and are getting ready to travel to China to get our baby we are adopting. We have invested in the lives of some people we know who live in poverty here in the U.S. But even still, it feels like there is so much MORE we could do! We just don't know what else to do. I think people look at the problem as so overwhelming, that they don't know what to do, so they just don't do anything. How I wish that everyone could go and help you for a while. I am sure it would light a fire under all of us to do more! I just found your blog tonight, and sat here weeping as I read many of your posts. What a tremendous thing you are doing! You and all of your children will be in my prayers daily! Oh, Katie. I cried reading that, for more reasons than one. I feel so broken, knowing that I am one of Jesus' followers, yet I still sit comfortably in my home and am not there with you. I cried because of what the children have to endure. And I cried because I thank God for people like you, who truly live out His call to serve others. I am praying for you and the children, and that I will find a way to make a difference. Katie. You have brought me to tears. I get angry with the church, too. We aren't doing what we should be, acting as Christ calls us to. Thank you, sweet sister, for having your ears and eyes open to what God will show you. Oh Katie...I read your blogs to my young children and through your example and your testimony, not only my heart is being broken time and again for what breaks the heart of our Lord Jesus, but the hearts of my little ones are being shaped for His service. We, as a family, are seeking God's direction in mission work and your life helps us see and experience the true work of mission outreach! May God continue to bless you with His presence and with the presence of the "least of these." We love you and your children Katie! Words cannot express the stories you have shared, I was awake in the night thinking about them. Just a thought, but is there a local church near to where you live that would partner with you and support your work? I hope and pray that you have some people close by who are giving you emotional support too. Thank you for all that you are doing over there, and for the love of God which is flowing through every pore of your being for all the people who need Gods love. Thank you. Thank you. Thank you. You are doing what is required and moving many many others to action. God has placed you in such a difficult place to open our eyes and move the Church to action. Please know that every word you type is the word of God flowing through you. I am feeling called to action. And a lot of that has to do with you and what God is doing in you. Never forget that God has called you for such a time as this. You, my dear girl, are a GEM! I just want you to know that i am praying for you and all of your children, but for Michael and Patricia in particular. I am encouraged by you daily and i want to thank you for letting Christ use and lead you in this way!!! God bless you and your life!! Katie, I am praying for you and all of the children that are orphaned, hurt or need help.But my more feverent prayer is for those of us that are here, professing our faith and needing to be moved to action, to live out Christ's love and take care of the "least of these." thank you for your honesty, your righteous anger but most of all...thank you for your love. I just found your blog through another blog I follow. I am currently a seminary student in Kentucky along with my husband. I read just this first entry, and my heart breaks for you and for the children you so faithfully serve through Jesus Christ. I will continue to follow your blog and pray for you as often as I can, but know I will specifically be praying for YOU and YOUR MINISTRY on Thursdays and Saturdays. How can I specifically pray for you? As many specifics as you can send me the better, so that I may plead your case before the Father in the name of Jesus. Katie, may you and your ministry be blessed. You are a faithful child of God, and you have blessed my heart. I found your blog through another blog (Anita's) and I am simply speechless over this post. Actually it feel more like profoundly speechless. I pray for the children daily and will add you to my prayers each day as I visit your blog. Please know that this post has encouraged me to continue to pray, to stop for the One when he moves me, and to make my voice heard. I found this post from a colleague in ministry who linked it... and my heart just breaks. Your clarion call to the Body of Christ truly is God crying out in Isaiah, "Whom Shall I Send!" (which happens to be our scripture for this Sunday's worship). Would you mind if I shared a piece of this story with them? I too was recently rocked by Francis Chan's "Crazy Love" and finding your blog was one more piece to the puzzle God is putting together for me and my family. My husband and I are parents to five children who we want to grow up to LIVE like Jesus. We want to LIVE like Jesus. This is tearing our "comfortable" life apart and we have never been more excited. We have begun to give and pray and do. Know that you have friends on this road who are lifting you up! Oh Katie, I don't have words. But know that I am praying for you, for them all. God bless you....I'm speechless, I don't know how you do this. The idea of children suffering is more than I can even bear. The world needs a million more of you. This was amazing. Gosh I so fight with you here. HE is THE ONLY God of them all. He alone is needed to take care of them all. praying for these sweet children and trusting with you the Sovereign Hand of our Heavenly Father. Katie - Be angry. Be very angry and may we all be angry with how we've let the world become. As you say, if only a small percentage of people would do only the smallest bit of what you're doing the world would be a much better place. Above all, please continue to share you're experiences. I truly believe you're enlightening MANY people and changin us all. You're upping the percentage of people who WILL act! Thank-you. Dear Katie~ You are SO right. The body of Christ has failed miserably. Thank you for being willing to speak the truth. God does not give us impossible tasks. Every child can and should be loved and fed and told about the GOOD news of Jesus. Yes, He IS good...we his followers have done a shameful job of representing Him. We saw a passionate sermon (online) given by David Platt to the pastors at the annual Southern Baptist Convention. You would love it. (maybe you've already heard or seen him?) He's new to us. But anyway, he closed by saying, "We have prioritized our comforts over the needs of the world around us, and we need to repent." Amen. Thank you again for speaking the truth. I know it's not easy, because we don't always like to hear the truth, and you can end up taking heat for it. But we need to hear it, especially here in the U.S. where in a "normal" day, we don't see the horrors our brothers and sisters are facing. When we do see it, through your eyes, God can use it to change us. I wanted to respond as soon as I read your post, but felt a little like the wind had been knocked out of me. Ouch! You pack a hard punch! See, I pride myself on being a pretty good Christian..I give regularly to my church, to various ministries, to all kinds of needs as they pop up in my life. But, truth be told, I hardly even miss what I give. Sure, we could be driving newer cars, I could dress better, and maybe we could buy some decent furniture if I didn't give what I do. But, it doesn't really hurt at all. I'm not sure what it really cost to give when you don't really feel it. Lately, I've justified not giving beyond what I already am because the pot coming in is smaller. But, you know what? I've still managed to eat out several times a week, stop off for ice cream on the way home from school, go to the salon to get my gray hair covered up (don't tell anyone), treat the kids to Starbucks, pick up another couple of shirts at Costco (yeah, I know..quite the elegant fashionista)...just because I can. All the time, you are there in Africa pleading to the Lord to get his people to ACT. You are there holding a dying baby and taking care of her needs while I sip a latte while my daughter takes one of FOUR dance classes. God forgive me! Lord, may I see every single cent that comes my way as YOUR money. Loosen my grip on it. Oh, dear Jesus, what would you have me do? How should I respond? The needs of this earth are overwhelming....in Africa...in Colorado. You, Katie, are entirely correct. You help the ones God gives you and trust Him to provide for the others. But you NEVER pretend they don't exist. What is your greatest need right now? Besides prayer? Is the priority the land you want to buy? Or sponsorship of a child? Or lots of chickens? I know that you are "just" a person. A person like me who has nothing so incredible about her that she can do great things on her own. But, you are different from me in that you have totally surrendered yourself and all that you are into the hands of a God who CAN do incredible and mighty things. And, He uses you to do those. I am praying for your broken heart as you give back those children you loved back to health. I am praying for God to do a miracle in the lives of their parents so that these children can receive the care of their parents which will allow them to live healthy lives. I pray for the government of a country which does not use its resources to feed its people. I will pray for me to turn loose of the many "extras" in my life so they can be used by God and multiplied many times over to love and care for all his people. Thank you, Katie, for shaking up my world and challenging my comfort zone. God bless you and keep you this day and everyday. PS...and, Katie? "this post will not be eloquent or well written. It will not be a beautifully worded story, but just the ramblings.." Yeah..right! i am moved beyond words at what you describe. i have my own "michael" and would like to take yours into my home! don't apologize for your feelings; i believe your anger is righteous. be sure to take care of yourself--eat right, get enough sleep--so that you can take care of those entrusted to you. So Katie what specifically can we do to help you there? For now we will pray. Katie, First, I want to tell you that you are amazing! You have inspired me. My husband and I have been praying about sponsoring an orphanage oversees and your last post really hit home with us. As Christians, we do need to reach out to those in need and it is a shame that we don't. Will definitely be back to your blog. Oh what I would give to come take one of those babies home. I don't say that lightly. God knows my heart. My family has been so richly blessed to live in a big parsonage next to the church my husband pastors. We want to adopt and fill this house with children, yet we are finding so many roadblocks... it costs nearly 30,000 dollars to adopt a child now and we are doing everything we can to raise money... and while we raise all this money, we have 3 bedrooms that sit totally empty. And I read your words and think of the little ones that could be tucked safely into bed at night under our roof. It makes me absolutely weep. I feel so helpless... I want to do something, anything, but I feel like I just can't. Your words seem to speak directly to me. You see, I'm a single adoptive mom of 3 drug and alcohol "orphans". While their biological parents are still living, they are unable to care for themselves, much less their children. As a result of their neglect and abuse, my teen son is facing obstacles that seem unsurmountable to me. I've felt myself losing hope as I face decisions that are breaking my heart. What is best for him? Best for his sisters? But I was reminded as I read your post, that there is always hope with Him. If you can get up each morning and face another day - working in the conditions that you face - then so can I.
I'm also a 4th grade teacher and have decided to make Amazima our year-long service project. I'm very excited to share your story with my students and hope to develop hearts for orphans. I've communicated with Gwen and have many ideas to get us started. School starts next week and I can't wait to get started. Amen and thank you. May the Lord bless you for caring and doing and proclaiming. Wow this was extremely convicting! My husband and I have always wanted to adopt but just haven't yet. It's so easy to ignore the issues going on around the world until your confronted with them right in your face. I know you weren't saying someone needs to adopt those kids but the Church should step up and support these families and teach them to care for their children. I'm thankful for the work you are doing and will be praying for you as you serve the least of these. I will also be praying about what we can do to help the global church not just the one in our backyard. Katie, this post may not have been edited but it is one of the most beautiful blog posts I have ever read. Your heartbreak, passion, and love for these precious kids just radiates from my computer screen. I'm in the midst of doing college applications and I stopped halfway through your post and asked myself, "WHY? WHY am I doing this?? WHY am I not planning to move somewhere in the world and help these people and these precious children??" So thank you for sharing your heart, for being my eyes so I can see the need, for reminding us of the CALL that God has on our lives. I'm thankful for the many times God has used your blog to challenge me. Praying for restful sleep and renewed hope in the morning. Katie, I just discovered your blog today. As I have been reading and crying, I have been praying for you and your family and those you are serving. I will be holding my little ones close and will be keeping you in my prayers. Thank you, thank you for your transparency, and for your obedience. I will pray today and all the more fervently that others will hear your message, no God's message, that we must all care for the fatherless and widows. I thank Him for allowing me to know you. Continue to walk in the Spirit, continue to share your burdens, continue until you hear, "Well done, my faithful servant!" And praying, "What more would God have me do?" weeping and praying. Thank you for calling us in the body out. Love to you dear sister in Christ. Katie you never cease to amaze me. I sit in the US longing to be on the ground in Africa, longing to DO more then my token donations or child sponsorships. It seems so little in comparison. Yet I know that I'm waiting for Gods timing. HIS plan and for now I do what I can. Praying for you, your children, and all of the children that you aren't able to touch. You are an inspiration sister. Jesus, wrap these children in your arms tonight. Care for them, love them, whisper to them, let them sense Your presence in just the way that they need at this moment. You knit each one together in their mother's womb...you will not leave them...You WILL come to them. And so, come to them Lord Jesus in the form of food, of water, of medicine, of a smile, of LOVE. So, come, Lord. Come to OUR hearts, Jesus. Forgive us. Wreck us. Move us. Compel us. Use us. We acknowledge the time for sleeping has long since passed. Awaken us, Father to the work you have for US to do. Help us to obey whatever the cost. Protect Katie's heart. Nuture her. Love her. Give her peace in situations where there should be no peace. Turn her eyes upon You...the One who satisfies the desires of every living thing. Flood her with your presence this very moment. We ask these things in the sweet and powerful name of our Savior, Jesus Christ. You are such a blessing to these children. I cried as I read this post. I can not imagine how these babies feel..so alone until you came. Wow. You are what I inspire to be someday.What all Christians should inspire to be. I am praying and praying for these babies. He left the 99 to find the ONE. We don't serve a God who cares about numbers as much as a God who cares about the LOVE we give to those who are lost, helpless and with out Him. Continue loving those you can, and know we're PRAYING for you and your children. I have disobeyed God too long. I want to be where you are at. I want my family serving these children. I don't even know how it all works, though. I'm praying for God to show me the time and place to move forward. In the meantime, my family and I are going to make a concerted effort to cut back on our "fatness", the luxuries of Golden Corral and Red Box movies, etc., so we can provide more to your ministry. God bless you for speaking out, baring your heart, and being an instrument that God has used to soften this stale heart. Beautiful post. Thanks for blessing me with your thoughts, words, passion and love. Thank you for what you wrote. For sharing your passion through your blog. I can't tell you how moved I am. I am a sponsor coordinator of a new carepoint in Swaziland, volunteering through Children's HopeChest to find sponsors for the children. I do what I can from here, but you are there, on the field. And so young too. Thank you for what you are doing, sharing what is going on there, being obedient, and being His body to His little ones! I am honored to have "met" you. I will be praying. Katie, amazing, sad, wonderful and heart-wrenching. Praying for you. Working and waiting to adopt our little one. Stay the course, Good and Faithful servant! For i know whom i have believed and am persuaded that he is able to keep that which i've comitted unto him against that day!!! I will pray for you and send financial support. I don't know what else to say. Your words inspired me and also brought me to tears. I to my Mom's room with my computer, sat on her bed, and read your words to her. By the end, we were both in tears. We love you, Katie, and are praying for you. What difficult emotions and trials you bear, and we are praying for your strength. THANK YOU for sharing your heart so openly and willingly. We love your family and pray for your girls and the children for whom you care. We are praying for Patricia and Michael. As these frequently do, I am at a loss for words. Praying these words, His truth, will indeed spur others to action. Wow. I found a link to this blog a while back but have been internetless all summer, so I just checked in again. I am so inspired by the work you do. I want to join you in it. Maybe not in Uganda -- who knows where -- but somewhere in Africa. The post your dad wrote -- he sees things very differently from you. A lot more like I would I'm sure. Since he posted about your toilet seat, every time I notice an extra in my life (i.e. more dishes than I need, more craft stuff I want) I think, "How much food could I buy with the money I'd get from that?" Praying for you and your people, Katie. Aching to be there with you. praying for you, your girls,and micheal and patricia too. i'm just picturing you right now, snuggling with the baby girl in the footie pj's feeding her a bottle, smothering her with the love of Jesus and I'm smiling. one at at time sweet katie... I know it is unbelievalbly overwhelming, but try to savor the difference you are making in each one of these babies lives... one at a time. You have no idea how your words inspire me. I just returned from Ukraine where I spent a week ministering to orphans. As I sit and think of the images I saw...I have felt myself also getting angry. I am praying for you. I have given your blog to so many people. Thank you for loving our Lord and suffering for Him. Listened to the sermon on John 5 this morning. This post reminded me of Jesus in that sermon. He was MOVED by compassion. You, my sister, are MOVED by compassion that comes from the Spirit of God. Thank you for sharing. Praying for Michael and Patricia. Can you update us on them? Your life speaks volumes to many about the life of Christ and how we should ALL be living! Blessed be the Name of the Lord. May He give you STRENGTH to persevere and COURAGE to keep going. Your reward will be GREAT, and by HIS grace, you are making an ETERNAL impact on the lives you are embracing every day. May the Gospel and HOPE we have in CHRIST lift up their heads and cause them to sing a new song! May He provide abundantly for the needs of the villages you are visiting! Lord, let basic needs be met, let wounds be healed, let tummys be fed, let hearts be renewed in the name of JESUS! Thanks so much for sharing your heart. We will be praying for you and the work that you are doing. God has used this to just further confirm the call on our lives to Africa. Katie... You are so amazing! I can feel the love of Jesus in you, and I cried as I read your post. It is truly touching what you are doing for these children. I will be praying regularly for you and them! Just so you know, He IS moving many of us to action. Your prayers are being answered. Thank you for praying. We are praying with you. We are praying for you!!! We love the heart that you take into this and wish you could help more then just a prayer!! Good luck with your endeavores!! Dear sister in Christ, my prayers are with you. I am serving in Korea (teaching English) and will share your journal with my church family and my students. One of my Korean brothers in Christ is on his way to Africa as I write. Should you meet him, we call him "tigerstone" for his spiritual strength and solid foundation in Christ. I'm crying for all these children, but also praying asking God Why? I don't understand. Trusting God means looking beyond what we can see to what God see. We must focus on the truth of God's Word. God Bless You, Sister Katie. I have only found your blog today and I am just amazed. May God bless you and the work you are doing. May the Lord wrap his loving arms around his beautiful children. I've been reading your blog and praying for you for awhile now. At the same time I listen to and read a lot of John Piper. You exhibit what he talks about time and again and I believe it's why so many people, once they read your blog, keep coming back. You display, in your words and life, complete joy in the Lord! You show us that joy in life doesn't come from a comfortable home, good food, expensive clothes and cars, constant entertainment...but joy in life comes from knowing Christ and living your life in service to Him and to those He created and loves. You show us that satisfaction is found in Him, not in the "American Dream." Your effusive love for Christ and enjoyment of Him is what each of us longs for, as Christians. But so many of us find this hard to obtain because we want to hold on to the comforts and ease of this world. If we would live in a wartime mentality, recognizing that we are at war against Satan for the very souls and lives of people made in the image of God, just like us, than hopefully we would be willing to sacrifice, truly sacrifice, for the Gospel...like you have! Thank you for making a relationship with Jesus so attractive to the world. As you are most satisfied in Him, you are truly glorifying Him. And isn't that what each of us, as Christians, is supposed to do? I just wanted to thank you for your words of challenge to all of us,the church! While I'm passionate about adoption and have adopted internationally myself , please know that you can make a massive difference in one or more children's lives by sponsoring through amazing organizations like Compassion. Compassion radically changes the life of a child...in turn that child influences their family..that family influences the village and so on .. right to the whole nation itself. please give love and life to a needy little one now.. We have a real relationship with our sponsored children and I'll be visiting one of them again when I return to Uganda at the end of this month. blessings to you Katie and may God bless you richly. Katie! My heart is breaking! I can only pray, but pray I will! And I will continue to offer myself to God, saying, "Lord! Send me!" You are an inspiration and a confirmation that the youth of today CAN truly have a wild love for God! Keep on running the race. Thank you for sharing your range of emotions. It is something I so often struggle with. I'll be praying! Hey Katie, could you e-mail me at jimmy@thechurchat514.com? My wife and I are the ones that you met at King Fishers pool this summer and adopted Zuri from Good Shepherds Fold. I need to ask you something. I, like you is mad, mad that we don;t do more. We have adopted and are supporting missions. What else will the Lord have us do, I don;t know but more, we have to do more. I am absolutely horrified by your post and I am so happy that you shared the RAW truth. This is what we need to hear. I will pray for you and your mission and pray about what mroe we can do. Thank you. I am mad with you. I don't understand the very upside down "Christian" statistics either. It seems so simple. Adopt just one...But there must be a purpose in it, a plan, He knows why, and we may never know why. I am full of questions too. Deep and wide the questions flow and never enough answers. I am glad you received some piece in putting your babies to bed. Many blessings to you as you serve this community and love on your kids. Katie, my husband and I have been tentatively considering adoption for a few years. Your writing tonight has brought a new urgency to our desire. We are praying that God will show us what we are to do. Friends, if you read this consider adoption, consider sponsoring a child, consider SOMETHING. I am with Katie, I too get angry. We can be doing more as the body of Christ..much more. Katie -- I pray for you daily!!! Big ((( HUGS)))) from the U.S. I made it through the worms. For some reason, when you wrote, "is their ANYTHING cuter than a baby in soft cotton footie pajamas?!" I broke down. Please keep writing for us. And more pictures too! Keep talking about it, Katie. I am a mom to eight, five of whom were adopted from Ethiopia, and two of those we adopted have medical special needs and all five were older children (8 to 13 when they came home). You said it clearly - if 8% of professing Christians were to adopt only one child, there would be no orphans. This statistic makes me crazy. And most Christian adoptive families that I know adopt more than one child! So we need even less than the 8%!!!! Please, everyone, step up to the plate! I promise, the blessings are so huge, so much more than you can imagine!!! God provides! I can tell you - we couldn't "afford" adoption! And yet, we have completed the adoption of five children, two boys two years ago, and three children now home three weeks! We have a total of eight children between the ages of 9 and nearly 15! It can be done. God will meet you! Just take those steps! Praying your words and all of ours will reap blessing for those that need it so badly! Oh my Katie, a friend just pointed me to your blog and I'm sitting here with tears in my eyes as I read your story and think about how this could so easily be our sweet little boy's story. Thank you for allowing God to work through you! About 15 months ago, we learned of the genocide occurring in the Darfur region of Sudan. She was so moved by the speech a young man at our Church gave that she decided to act. She makes and sells St. Theresa Sacrifice beads (a string with 10 moveable beads to count 10 sacrifices done out of love of God and neighbor daily for the intentions of the doer - she offers up her sacrifices for the end of genocide and prevention of future genocides). To date, she has raised over $1200.00 and has spoken publicly at events. I am not telling you these things to brag, or to make anyone think well of my daughter, but to let you know that there are those out there who do care, and hopefully lift your spirits. Even though we cannot save every one, we need to focus on the lives we do touch and can help. One person actually had the gall to ask my daughter why should she care about people half a world away, and her response was "We are Catholic, followers of Christ. If it were you, wouldn't you want people to care?" You, and the people of Uganda are in our prayers! I understand your anger and your pain. Although I live in the U.S., I feel it too. Right now in our state (Texas) there are 5,000 kids waiting to be adopted, stuck in a sterile system that cares more about itself than the children. And that's just in Texas. It makes me angry, too. But we can't fix the world. You just help the little ones he gives you and pray for the ones he doesn't give you. He doesn't expect you to do it all, sister. This post moved me to tears again. I've linked to you on my blog, using your button. Thank you for being real in a world that is so fake, so wrapped up in itself, and so messed up. Thank you for showing your rage, your pain and your love. I pray that many, many, MANY will read your words and be inspired to DO SOMETHING. I pray that God continues to give you all you need as you continue your life changing work. I pray that He continues to give you wisdom, strength and joy in the midst of all you see, hear, do and experience. Entries like this remind me of our purpose in this world. i love you m'dear Katie, and you're in my prayers every day, and I'm adding Michael and Patricia to that list. love love love. show them love. I am just now coming across your blog, for the second time, someone recommended it to me before I went to Malawi and a friend sent it again to me tonight. You are an inspiration. I have longed to adopt internationally and after being in Africa, that's where I am feeling called to help out. I want to be one that helps these orphans. Thank you for sharing your life with everyone, to open the eyes of people who have been trying to keep them shut for too long. Dear Katie, My husband and I live in Canada. We have two children (so far!) and had agreed, when we miscarried our first baby, that we'd sponsor a child through CCFC for each child we would give birth two. So that's four kids for us, praise Jesus! We shall continue to help in this way. I am grateful to God for you. Just found your blog, can't wait to read more after the kids go to bed. We have adopted 4, and it is not for the faint of heart. This Sunday, we will go pick up our son who, for the past 3 years, has torn our hearts out and stomped on them, but now he wants to repair, he wants to finally be home and so we pray and we believe and we hope. But it isn't so easy because of all we've been through, but I read your blog and I remember that he has come so far and I know I have to go and hand him my heart and hope he doesn't break it again. I just found your blog today...I am soooo inspired by what you are doing. You, tired mama, are blessed with a selfless spirit. What a gift you bring..through you. I am a great sobbing bucket of tears...wonder how exactly it is possible to justify more waiting. is praying and breathing and asking for patience...for action. I apologize for this kind of cryptic comment...so many layers going through my mind. Oh Katie - I would sit with you if I could. I would sit with you in your tiredness that my own young mama's heart can relate to. I would sit and make you tea and listen to your heart as it runs over. To just do the one thing - to just help the child in front of us - that is the key. If each of us could just do that, the world might be different. Your blog is scary in that regard, Katie, because it challenges us to really see that. To see them - the faces of the children that are each individuals-- you make us face them and then you make us face ourselves. Thank you. Thanks you. Thank you. My husband and I have been looking for a better apartment; an upgrade. I read this and was immediatly broken and humbled. I cried out to God my gratitude and asked His forgiveness over and over for my blindness. I couldn't believe the stories you told about the conditions these people (and BABIES!!) exist in. I will be praying. PLEASE, tell me... is there something I might do to help? 4 years, 2 months, 1 week and 6 days have past since you wrote this blog note...but it is as powerful as the day you wrote it. Would you happen to be Ken and Shirley Davis (authors of Oklahoma History in Light of the Cross and home schooling activist) grand daughter? They were our home school coordinators when my children were little. They're probably really old now, if they're still alive - but wonderful people. They had a daughter and family serving as missionaries in Cameroon.